Activities for Building Character and Social-Emotional Learning - National Professional Resources, Inc. Teach the whole child – socially, emotionally, and academically. This is the goal of the series Activities for Building Character and Social Emotional Learning, part of the student-centered Safe and Caring Schools series. Teachers of elementary and middle school students will find hundreds of ready-to-use lessons that can by easily integrated into the regular academic curriculum to make social-emotional learning an everyday part of learning. Written by Katia S. Petersen, a training expert in improving school climate, the social-emotional learning (SEL) lessons presented in each grade-grouped edition (PreK-Kindergarten, Grades 1-2, Grades 3-5, Grades 6-8) help students improve their social skills and help to create a climate of respect and caring in the classroom and, if implemented throughout the school, schoolwide. Each lesson features built-in assessments and follows a format of "Read, Discuss, Do, Relate" that provides students opportunities to ask questions, discuss their interests, and find out what motivates them to get along with others. The included CD-ROM contains numerous reproducibles, including activity handouts, planning sheets, teacher surveys, and more. 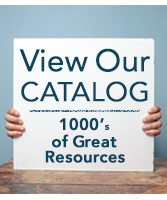 The comprehensive resource guide provides curriculum integrations for using the lessons as part of language arts, social studies, science, math, art, and music, and offers helpful tips on organizing a schoolwide program of Social-Emotional Learning. Teacher resources support the standards for school-based social and emotional learning from the Collaborative for Academic, Social, and Emotional Learning (CASEL), while materials correlate with standards for social studies, language arts, health, and other areas of the curriculum. The Safe and Caring Schools program, which serves as the framework for the series Activities for Building Character and Social Emotional Learning, has been extensively field-tested in classrooms throughout the country. It has been shown to improve school climate, promote parent engagement, increase academic achievement, and reduce discipline referrals.